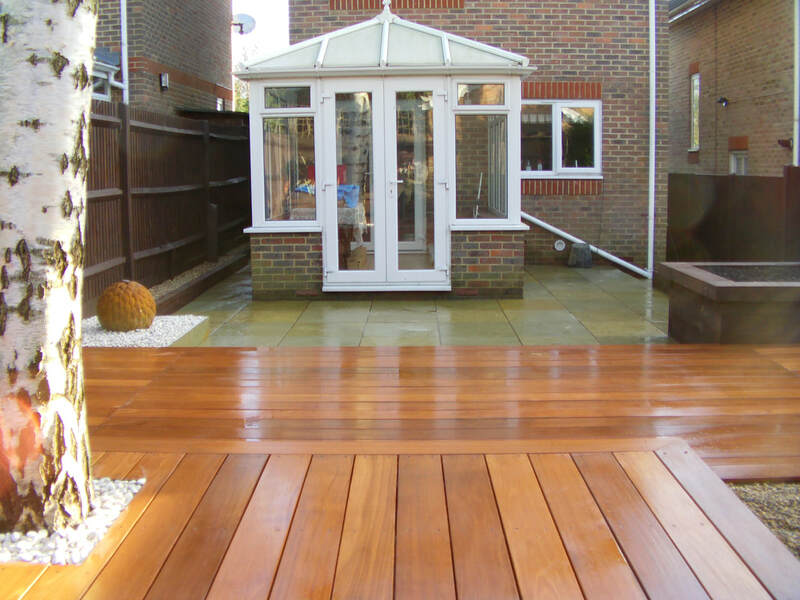 Decking can create a stylish, modern outside space to your garden. With countless choices in terms of size, colour and material decking is extremely a versatile option when creating a new landscape feature. One of the key advantages of installing a decked area is you can easily cover unsightly areas with minimal hard work and cost. 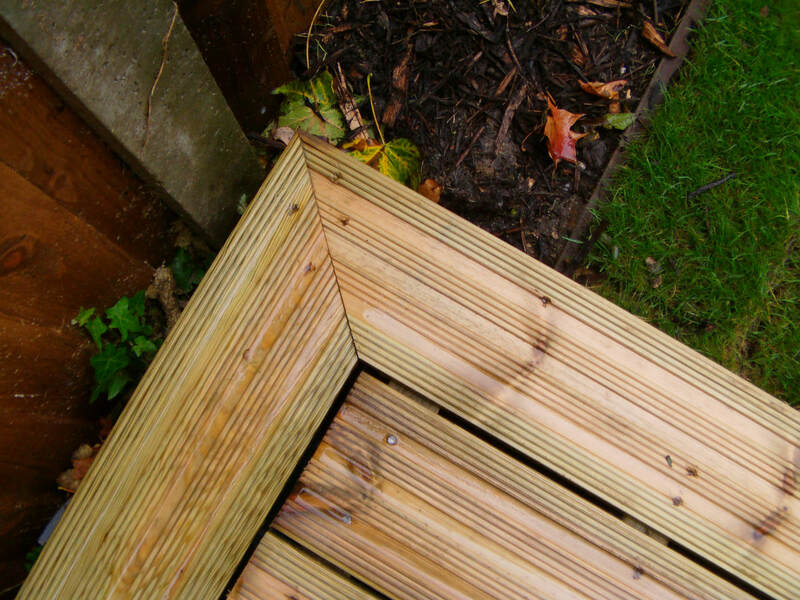 Decking can be raised up allowing for in built storage underneath for children’s toys or gardening equipment. On the whole decking is less labour intensive and more affordable than paving. If you wish to use expensive decking such as tropical hard woods this can start to raise the price. Most of the box standard decking on the market today is made from soft wood timber. Although this is the cheapest and most common it is the least durable. Although soft wood decking is an effective solution it has the highest chance of warping and degrading with age. It is always advised to treat soft wood decking with an external grade wood stain every two years. The other most durable types of decking are composite decks and hardwood decks both come in a range of sizes, colours and finishes. Although these decks provide you with a longer life surface remember your decking is only as strong as the frame underneath. Make sure you ensure whatever installer you use uses external grade timber. Also using 4x4 inch posts instead of 3x3 inch posts makes a big difference to a deck frames structural integrity. One of the most common reasons decks decompose and fail is moisture and dampness. Try to locate a deck where the surrounding ground is as well drained as possible. If you generally have a very wet, damp garden consider installing a new drainage system alongside your new decking. Buckinghamshire is generally not to bad for boggy conditions as a combination of hilly ground and chalk subsoil enables adequate drainage. In most cases the areas around; Amersham, Aylesbury and High Wycombe this problem is minimal. 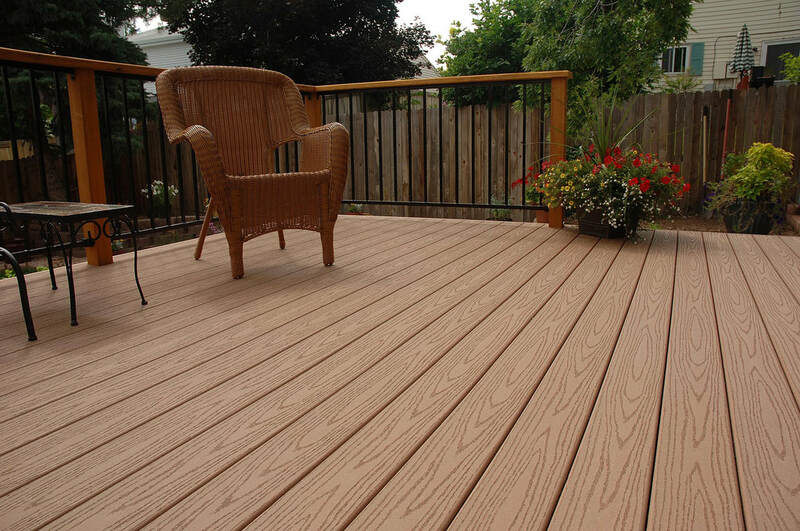 Assuming all these factors which affect your decks longevity have been covered your new decking whether soft wood, hardwood or composite is ready to be installed. Hardwood decking such as Balau and cedar can give a very attractive effect to your new landscaped space. There are various types with colours ranging from deep reds to yellows and dark browns. It is advised that decks should be oiled with good quality deck oil such as Osma decking oil. Composite decking is made from either recycled, plastic or resin based materials and are thought to be the most durable of all the decking types. Generally I personally find them bland looking and they are usually rather expensive for the finish. 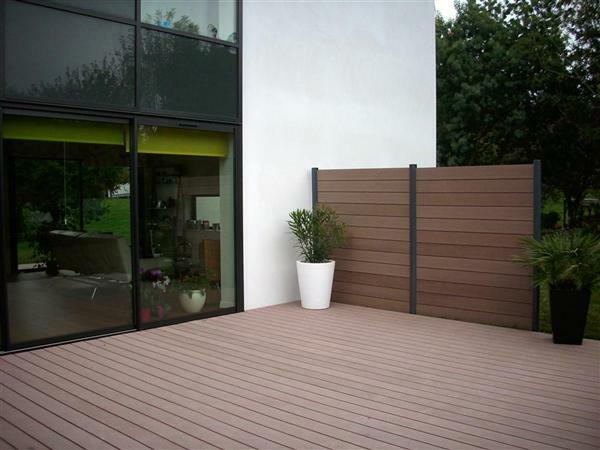 Some makes of composite decking such as the Millboard decking does have good colours and textures. Millboard decking is one of the most expensive decks on the market so some extra research and samples should help you decide which deck is best for you. 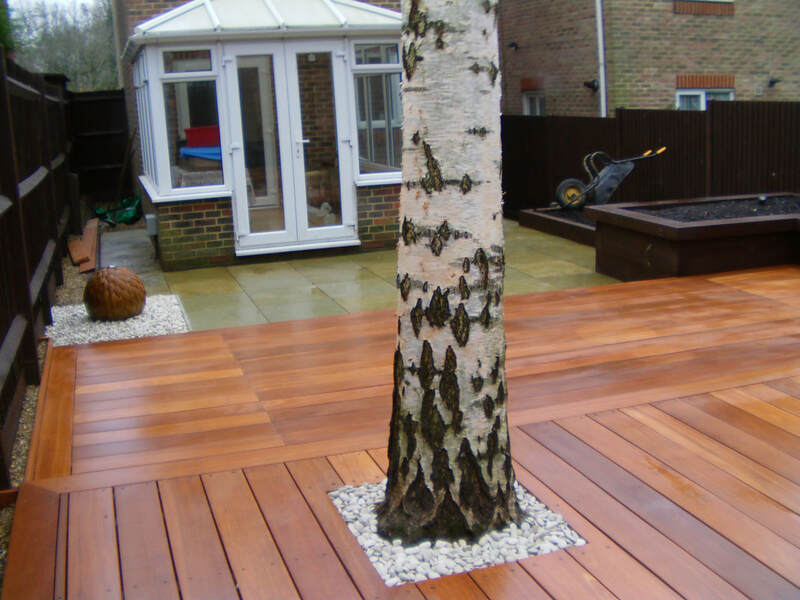 Buckinghamshire landscape gardeners are fully familiar with decking design and construction. Please contact us if you require deck building services in Buckinghamshire including Amersham, Aylesbury and High Wycombe.